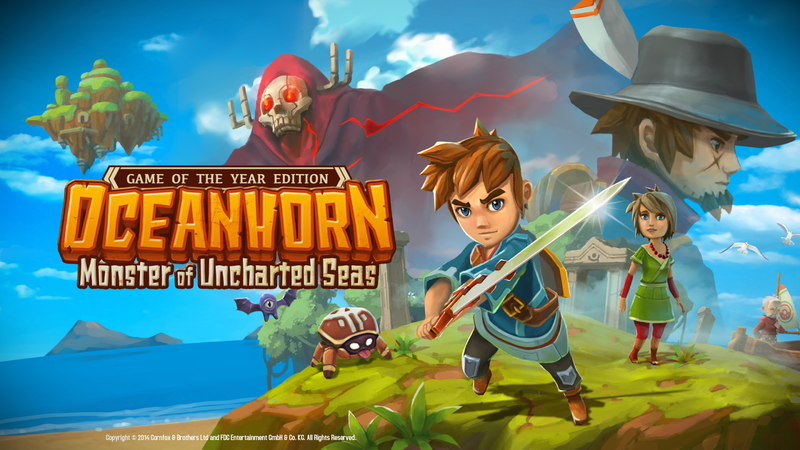 I recently finished playing Oceanhorn: Monsters of the Uncharted Seas on Steam. What Oceanhorn is all about is pretty well documented by now, this is a tribute to The Legend of Zelda in every way. More specifically, it is an artful re-imagining of The Legend of Zelda: The Wind Waker by a small team of developers completely separate from Nintendo. Oceanhorn was initially developed for iOS and was then ported to the PC and added to Steam with controller support, which is how I played it. The title saw success on the iPad because there is little on the Apple App Store that is at all comparable to it in scope and quality, even if you don’t take the Zelda parallels into account. The fact that the game was ported to PC and has been successful on Steam with “Very Positive” reviews speaks for itself, given that mobile ports are normally shunned by the PC crowd. As you can see from the single bit of art above, Oceanhorn shares a similar art style to Wind Waker, namely it’s a cell shaded fantasy adventure on the high seas, and has a bit of a cartoony look. If Wind Waker had a great spirit about it and was a joy to explore. Oceanhorn shares this sense, albeit in a more compact form. It is a relaxed and great looking adventure that offers a ton of fun, but not much in the way of challenge. Zelda games in general have gotten less and less challenging with each evolution of the series that I’ve played, I’ve yet to take A Link Between Worlds for a spin, as is the current trend in gaming as everyone looks to be accessible. Well, everyone except From Software. The team at Cornfox and Bros. did make an obvious and well executed tribute to Wind Waker, but they added a little bit of their own flavor to it as well. One point that stood out to me was the presence of the main character’s parents. The main character is never referred to by name, but rather than embarking on this great journey due to the random call of destiny, he is following his father to explore the mysterious journey he embarked on. His father is talked about throughout the story as an adventurer for you to emulate, and your mother is talked about despite her untimely passing before the events of the game. There are rampant theories about Link’s parents in the Legend of Zelda games, but nothing is ever spelled out directly in the games. I found it to be a nice change of pace to be literally following in the character’s father’s footsteps for the story and helping him to finish the work that he started. It made the experience more grounded because it might have been a bit much to lean on the Hero of Time story in this game as well. 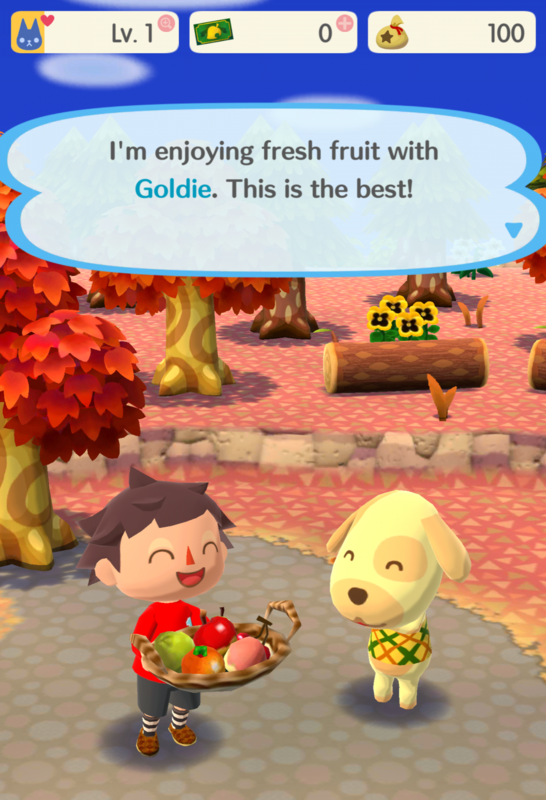 They also streamlined the gameplay in many ways, likely due to its foundation as a mobile game. This is obviously a much smaller game in every way than the flagship Zelda releases. It was completely developed by a small team lacking funding, but Nintendo might be able to learn a little from it. I’m incredibly biased and really never criticize Zelda games, but many people have found some of the more recent games to have pacing issues and be a little bloated for the amount of content in them. Oceanhorn kept the pace up the entire 11 hours I played, and the only time I ever backtracked was a wrong move on my part that wasn’t at all necessary. The fact that it is not an open world game and instead uses island hubs helps with this, making it likely to be staggeringly different than the upcoming open world Zelda entry. Some of Oceanhorn’s ideas could easily influence portable entries in the series though, mobile gaming is having more and more of an effect on dedicated gaming handhelds every day. In many ways, Oceanhorn is exactly what you’d expect from a game that puts its influences out there so obviously. The controls feel great, the items are the expected classics, and dungeons offer fun puzzles. Some of the direction in the game is a little lacking though. I sometimes ended up going to the right island because I got lucky just choosing one of the destinations I had not been to before. The game is limited enough in scope to allow players to just figure it out, and it adds to the sense of adventure and wonder. It’s easily possible that I missed a hint that would’ve sent me to the right place in these instances. Same goes for the final boss fight, it came down to testing out different ways to hurt the boss over a few lives. It wasn’t spelled out so I had to figure it out. Any Zelda fan would probably be able to figure out the formula after a few attempts though. Overall, I had a good time throughout the entire game experience. It was a great way to get a little Zelda fix in between games and in a unique way, rather than picking one of the older entries back up. Nothing wrong with that though, I’m in the middle of the Legend of Zelda 2 for the first time. It’s a really interesting divergence from the series, especially playing in a time when publishers are so reluctant to stray from proven formulas. My biggest takeaway from Oceanhorn: Monsters of the Uncharted Seas is the promise of the future though. This is a great first attempt by a non-Nintendo team rehashing what makes the Legend of Zelda series great. I’m waiting with bated breath for The Legend of Zelda for Wii U (and hopefully NX), but I’m now also excited to see what Cornfox & Bros. come up with for their next game. Hopefully, this game also inspires some other indie developers to think about their own take on the series’ tried and true formula. We’ll see what the future holds for the Legend of Zelda and the fans who love those games, even if they aren’t starring Link specifically. Let me know what you think in the comments below! Thanks for reading!